Pleasant but also somewhat gloomy surprise collection of cover versions. Recorded [in one week] at Ca Va Sound Studios, Glasgow. The CD has a hidden bonus track after a 50 seconds break attached to the last track. It is a slower and remixed version without synthesizer of How Fortunate The Man With None. 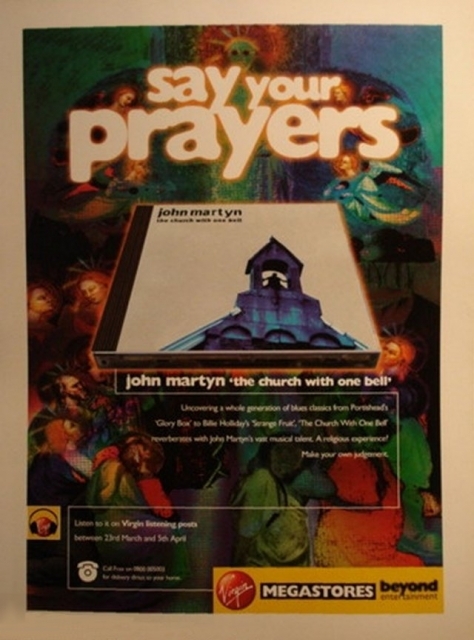 Rumour has it that the original recordings for this cover album have been rejected by John, and that this album was made in four or five days time. This is known among fans as the Solid Air procedure. John was asked to make a record of covers; by way of payment Independiente bought the church in John's village for him. The plan to turn this into a studio was very old as John already was talking about it in 1985 (to the French Rock & folk magazine.) Also, in 1999, he told Italian Buscadero that he had been looking at the church his whole life, but always was out of cash when doing so. The Church bell can be heard on tracks #3 and #10. 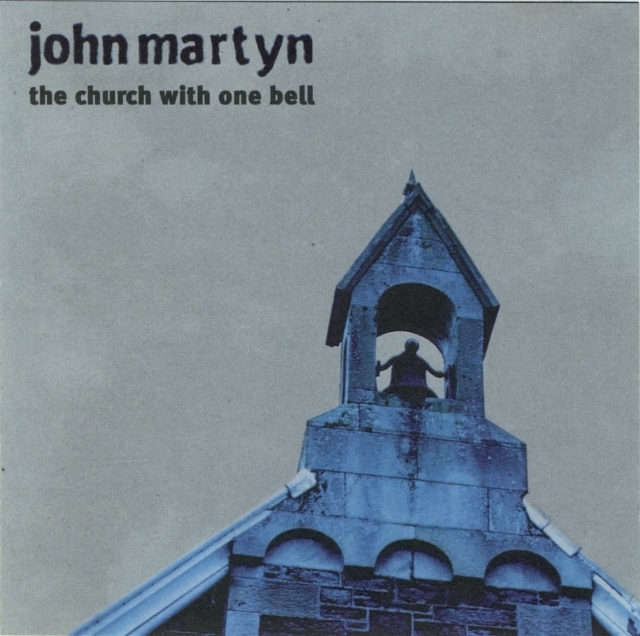 "say your | prayers | john martyn 'the church with one bell' | Uncovering a whole generation of blues classics from Portishead's | 'Glory Box' to Billie Holiday's 'Strange Fruit', 'The Church With One Bell' | reverberates with John Martyn's vast musical talent. A religious experience! | Make your own judgement. | Listen to it on Virgin Listening posts | between 23rd March and 5th April"